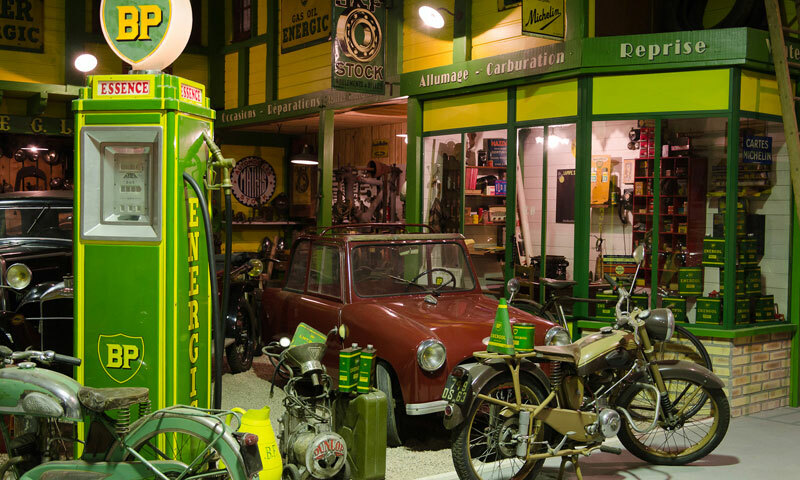 Located in Riom (Auvergne, France), motorcycles's Baster Museum describes two-wheels's evolution between 1905 and 1985. 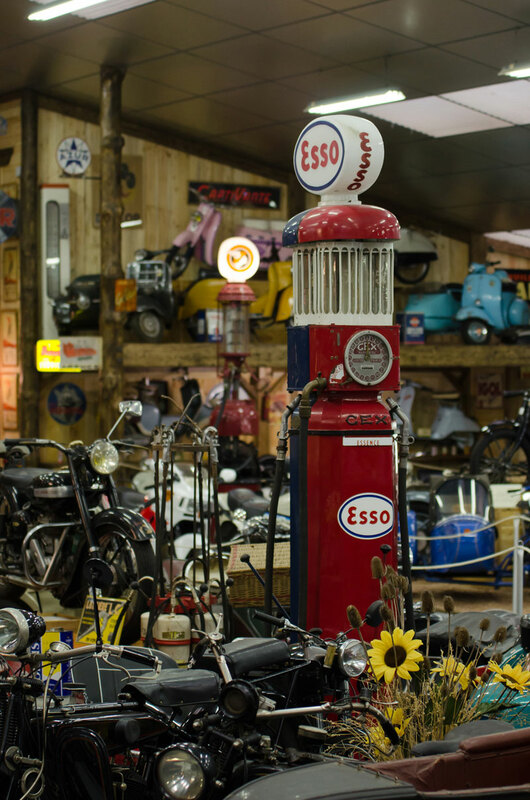 In an exceptionnal scene, the Museum will send you inside oldies with its posters, enamel griddles, fuel pumps. 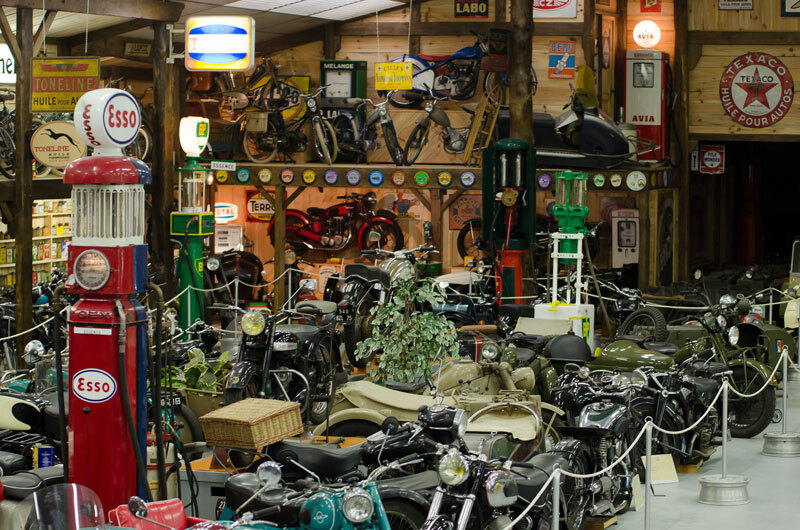 More than an old motorbikes show, the Museum invites you to be surprised by many little collections inside the big one. 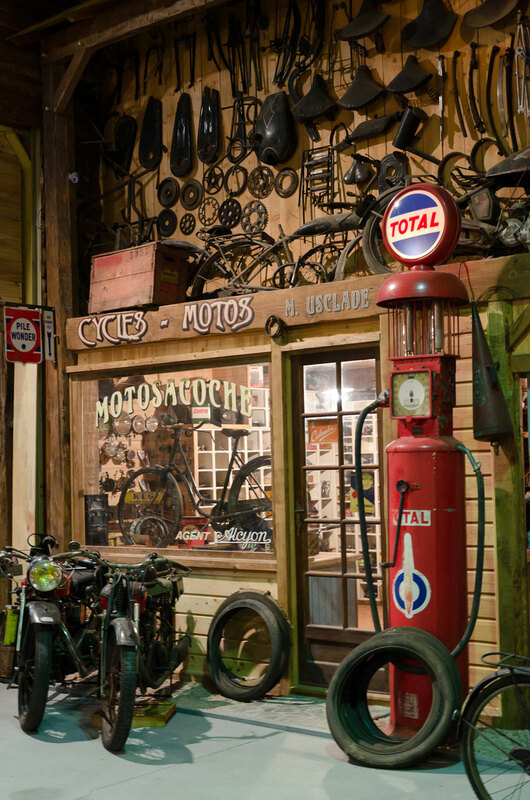 The Baster Museum celebrates every two-wheels with its favorites : side-cars and 4 cylindres motorcycles. 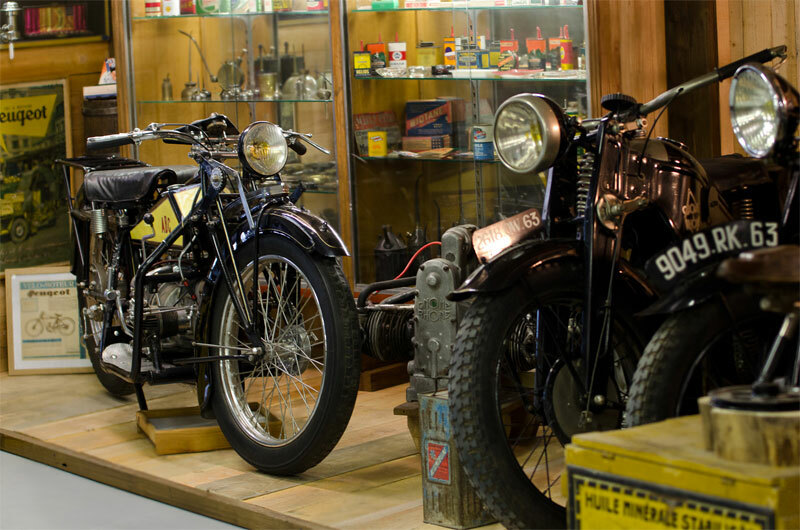 There you can contemplate exceptionnal motorcycles like the Brough Superior SS100, the 1000 Vincent, the 750 MV Augusta and the 1930's TRAIN, 4 cylindres, single model found. 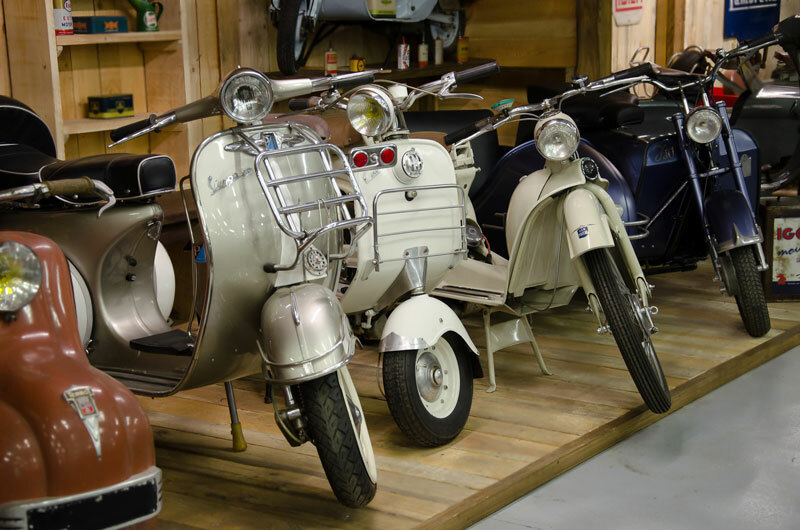 Mad about italians? 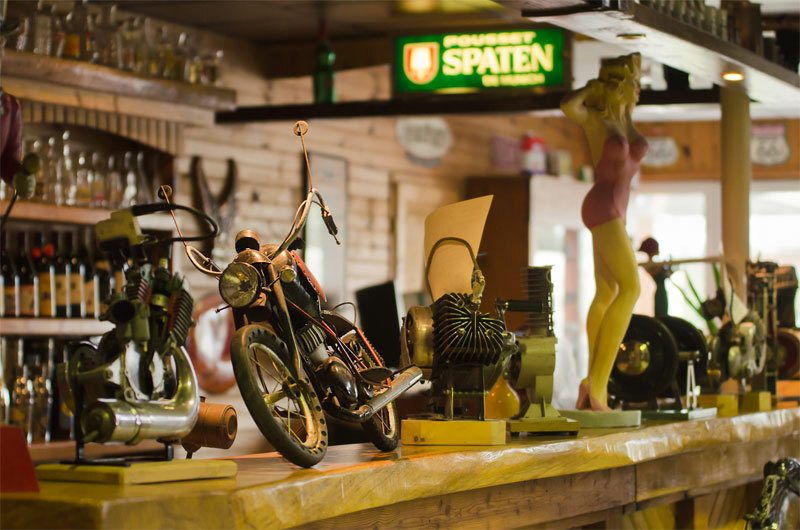 In love with englishes? Fascinated about americans? 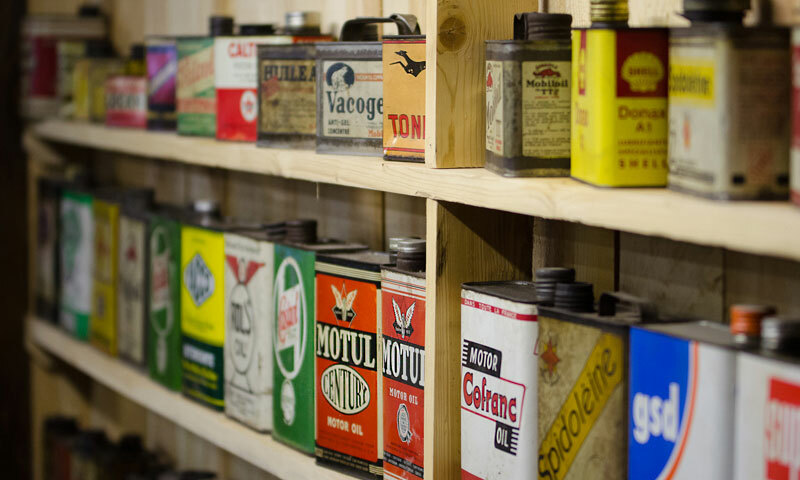 You'll also have the pleasure to see others greats french labels. 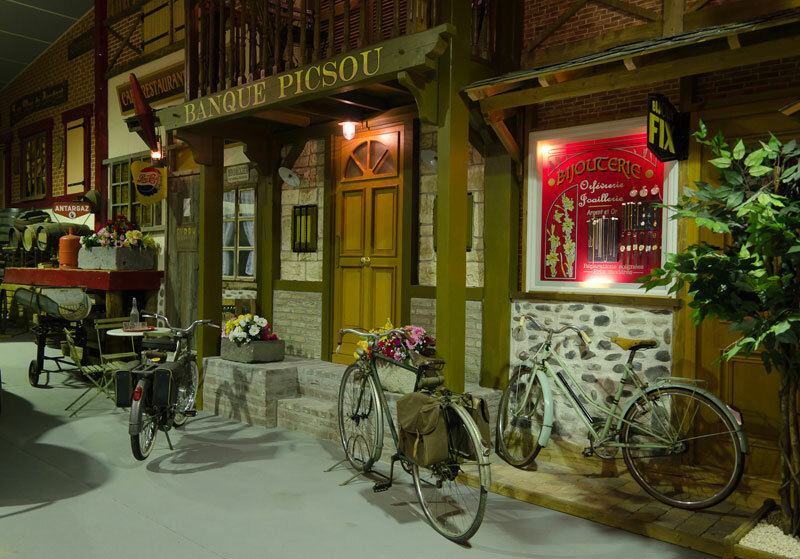 Beyond single pieces, and some of theme are singles to look at, this Museum is open to everyone, for you eyes pleasure. 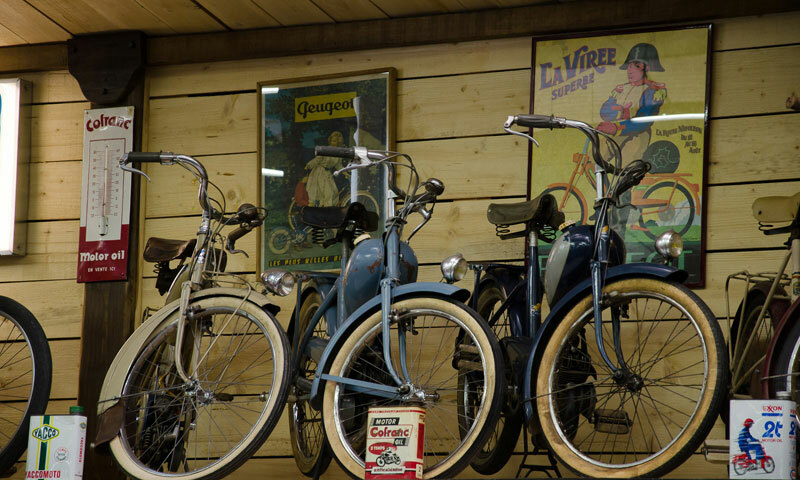 You will be carried in an other time, strolling inside a touching collection about popular two-wheels wich are in everyone's memories. 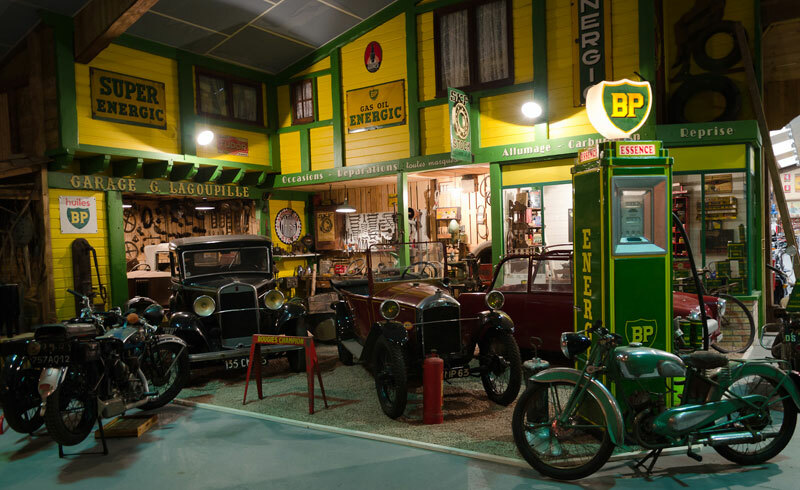 Baster Museum is a fairy place for kids as for adults, experts, curiouses, thanks to a great direction. 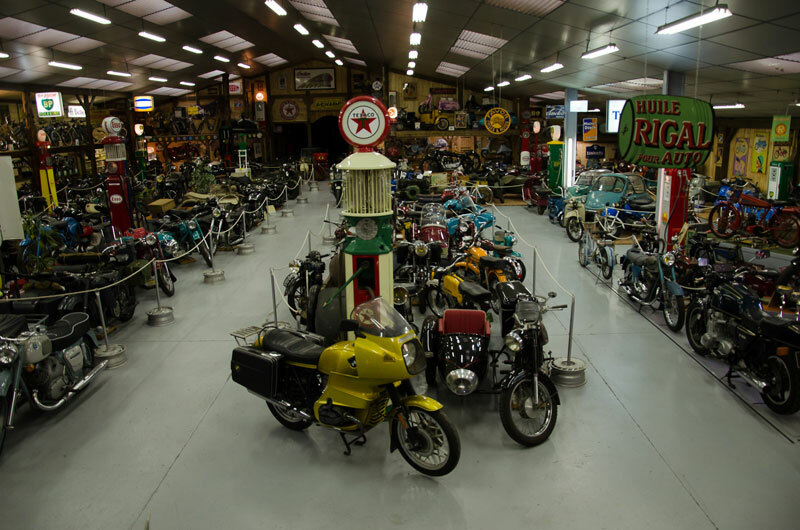 Come to and discover this private collection that a two-wheels lover has chosen to share with everyone. 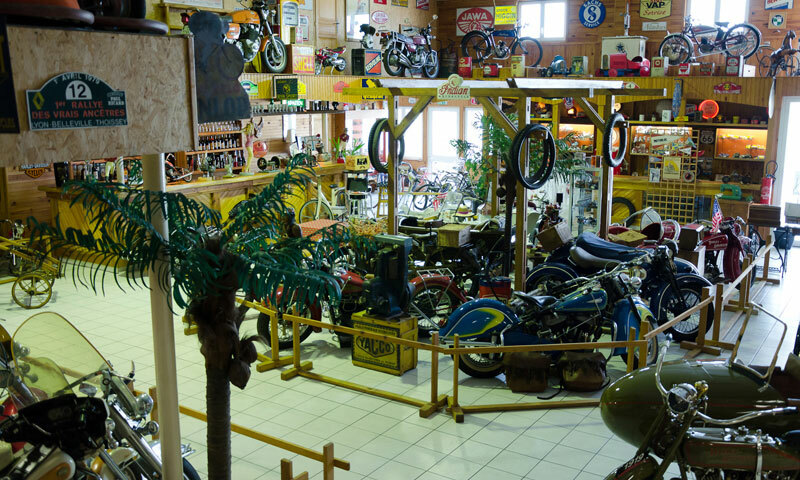 Every second sunday of each month, since almost thirty years, enthusiasts and professionals come to sell, buy or exchange motorcycle pieces and accessories. 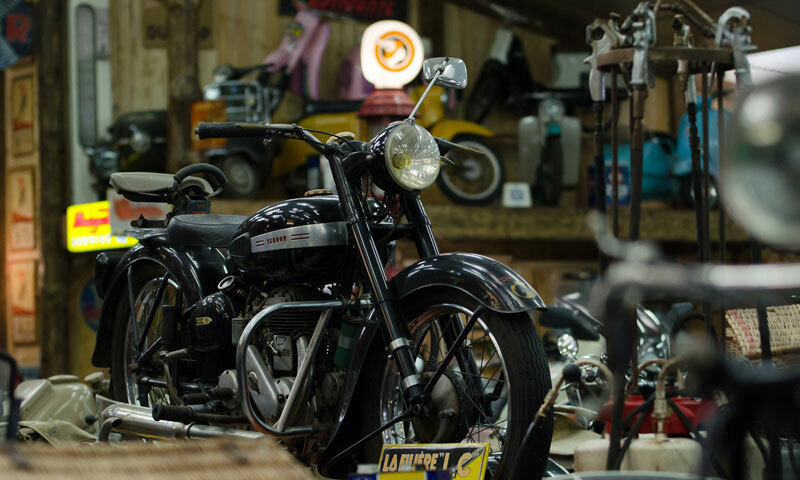 From 9 A.M. to 3 P.M. for motorcycle market. Children (-12 years old): 5€.